Be the life of the party! 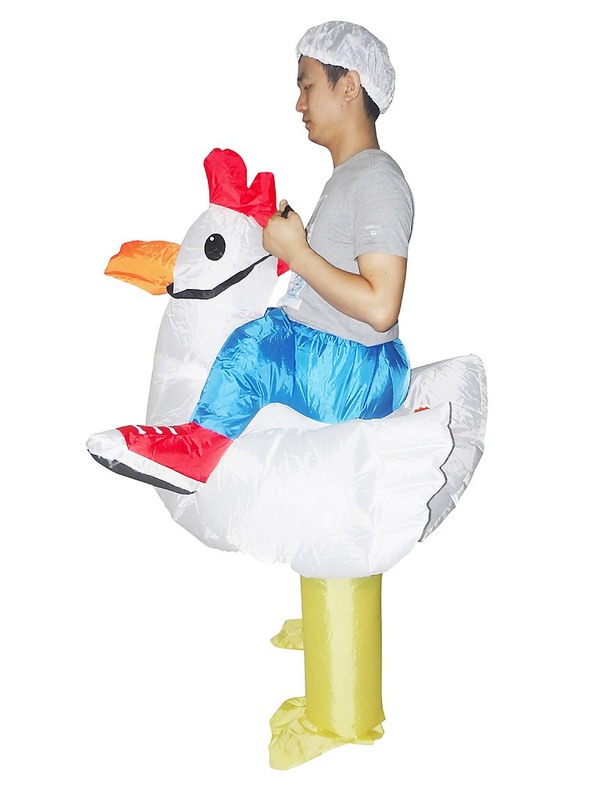 Suit up in our Inflatable Chicken Costume and add fun and giggles to the next costume party you’ll attend. 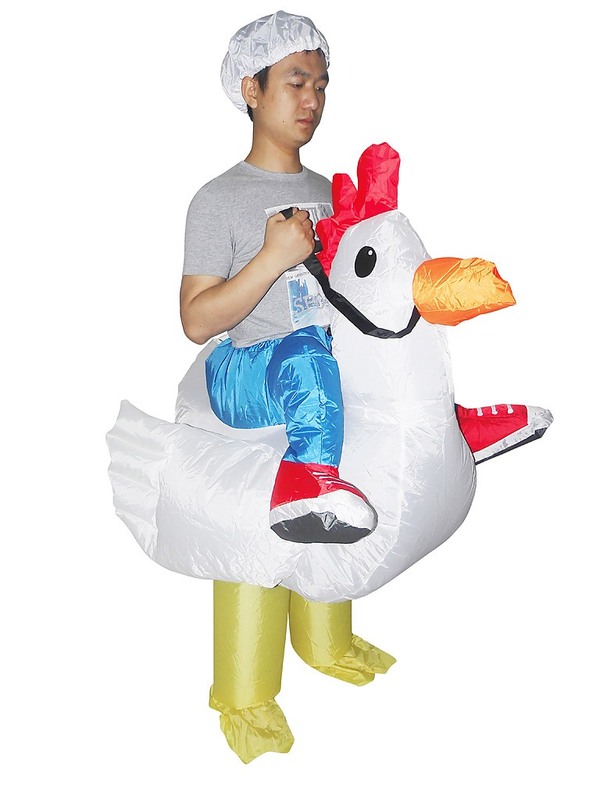 The chicken costume is made from terylene, an extremely light but durable polyester material, so you stay cool and comfortable. 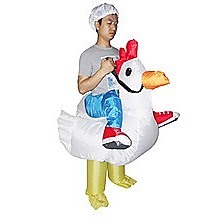 The costume is air sealed along the neck, legs and arm fasteners. 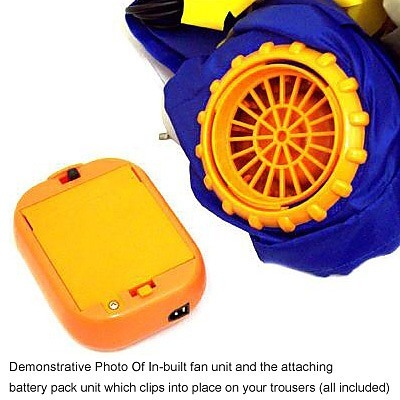 A lightweight battery-operated fan clips onto your belt or trousers inflates the costume within seconds, and keeps the costume inflated for up to several hours. One size fits most adults up to 200cm in height.